Selecting a grow light heedlessly could yield ineffective growth for your plants, ultimately killing your motivation to continue indoor gardening. However, if you are one of those choosing LED over HPS grow lights, you have won half of the battle. LED is a very energy-efficient and eventually a cost-effective decision. You are now reading our California Lightworks SolarSystem 550 review. 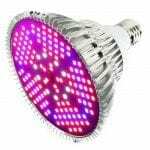 As for your quest for one best LED grow light, you have stumbled upon a premium-quality LED grow light. The California Lightworks SolarSystem 550 LED grow light. This light offers a balance of performance, durability, and budget. If you are planning on growing plants that demand to toggle between different wavelengths of light in the spectrum with specific intensities during the growth stages, you are getting the right thing so far. 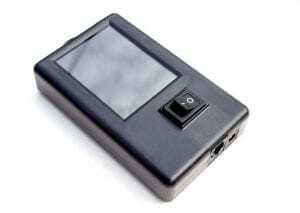 Simply use its screen to vary the light intensity of three different light spectrums from zero to ninety-nine percent. More excitement— the California Lightworks SolarSystem 550 of has the ability to mimic the sunset and sunrise with the aid of timer control. 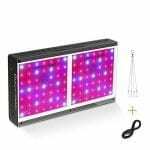 Moreover, to ensure that your plants flourish in the best possible ways, this LED grow light meet their demands of specific light characteristics in the fall, spring, summer and winter seasons. The California 550 Lightworks Solarsystem LED grow light features a Photosynthetic Photon Flux (PPF) of 620 umoles/s, together with a footprint of 6 x 8 feet in the vegetation process and 3 x 4 feet in the flowering process. Its ability to operate in only 400 watts gives it a solid edge over HPS 600 watts grow lights. This UL listed lightweight LED grow light (weighing only 13 pounds) also comes with a five-year warranty and boasts LEDs of 50,000 rated hours of life. The SolarSystem 550 comes in a combo of Method Seven Operator LED+ glasses, the controller, and two fastening ratchet ropes. Since the LED grow light could operate in a spectrum other than that in daylight, these Method Seven Operator LED+ glasses are specially designed to filter out the disturbing radiations; consequently, allowing a comfortable operation to the user. If your plans encompass around gardening in a vast area with a variety of plants demanding unique working conditions from the LED grow lights, the controller comes in handy here. In fact, this single controller is efficient enough to control numerous LED grow lights. Lastly, California Lightworks Solar system 550 LED grow light comes with a couple of good-quality 1/8” hanging ratchet ropes to secure the hanging of unit. The strong online support lets the programmable controller of Solar system 550 get frequent updates to continue optimization. Moreover, the flexibility of this light fixture from California Lightworks allows it to collaborate it with other light fixtures and gadgets to intensify the growth process. In settings where this LED grow light works together with the sunlight, the light sensor would be integrated with the controller to relay the intensity of sunlight. This way, the light fixture could be switched off if the sunlight is enough on its own. In addition, the light fixture could also be connected to a smartphone or pc to export data into them. Still not sure whether to buy this light? Check out a video review and unboxing below. 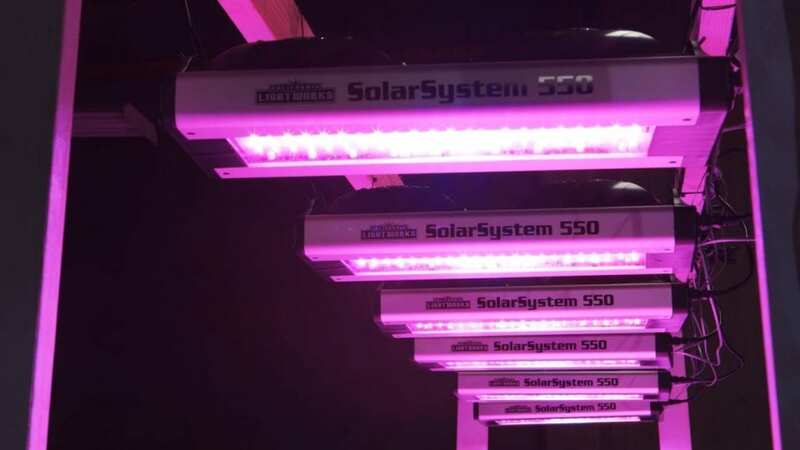 Albeit expensive to purchase initially, California Lightworks SolarSystem 550 LED grow light could be an effective investment in the long run. It offers durability due to its sturdy design, together with great performance. It’s a user-friendly product that would engage the amateur with its interactive and easy controls. In addition, it’s networking abilities and versatility is surely going to serve as the icing on the cake for experienced growers. The extensive options and good price for a premium-quality LED grow light make it a good option for growers of plants, cannabis, and vegetables. This California Lightworks SolarSystem 550 is definitely a light I would recommend if it’s in your price range! Are you looking for another premium-quality LED light? 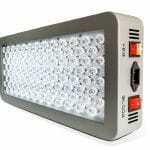 Read our review of the Kind LED K5 XL1000 Grow Light.